The disdain for dependency that Charles Dickens exposed 180 years ago is driving social policy in the United States today. 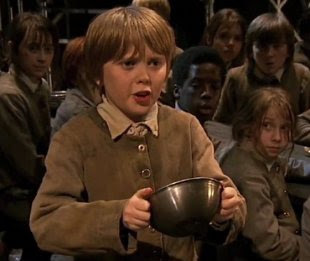 Mr. Bumble, the parish beadle who oversees provisions for the poor in Charles Dickens’ Oliver Twist, complains: “We have given away… a matter of twenty quartern loaves and a cheese and a half, this very blessed afternoon, and yet them paupers are not contented…"
Disdaining dependency. That was the attitude Dickens exposed 180 years ago. That same attitude is driving social policy in the United States today. Only now that the tax overhaul is all but a done deal have we begun to read about why our Republican House and Senate and President seem so little worried about tax cuts that, simple arithmetic tells us, we cannot afford. All month we have been reading about the size of the tax cuts and the plutocrats who will benefit, but there has been very little honest reckoning about what will be the most serious human consequences. Now, however, are we learning the reason. The real goal is eliminating dependency by punishing the poor for being poor. Paul Ryan, the Speaker of the House of Representatives, who, for years, has proposed his own miserly federal budget plans, is quoted by POLITICO: “We have a welfare system that’s basically trapping people in poverty and effectively paying people not to work, and we’ve got to work on that.” Not considered in all this planning is whether jobs are available and whether people using programs like SNAP are able to work. If you wonder what all this commentary about planned cuts to social service and health and nutrition programs is doing in a public education blog, consider these previous posts—about sociologist Sean Reardon, writing about the impact of poverty on education—about Harvard’s Daniel Koretz examining how poverty affects test scores—about author Jack Schneider reflecting on poverty and public education.